Dill has had a rough life. He’s the son of a Pentecostal, snake-handling preacher and now the target for the bullies at school that hate him for his father’s faith and crimes. But, his friendships with Travis, a boy obsessed with an epic book series and its world, and Lydia, a fashion blogger using her internet fame to get out of their Tennessee town, are what keep him grounded…at least until high school is over and Lydia leaves and Dill has no other choice but to accept the family legacy. The relationship that develops is sweet and natural. And, in a way, it felt like the relationship was not just between the girl and the boy, but also the boy finding a safe, loving home in her family. But, this is an end of high school book, so it’s also a little bittersweet – no one is ever sure what will happen once graduation comes and the final pre-college summer is over. The main reason I’m giving this a good score, even though the mothers in this book suffer greatly due to their marriages and community expectations about staying with your spouse, is because Lydia is a mouthy, badass, self-confident example of girls that love something and won’t make excuses for it. Plus, her explanations of the hunt for clothes at shops, her interactions with her internet followers, and her joy in finding the perfect outfit were a great example of how girls don’t have to make apologies for loving something and that the things that are coded feminine are just as difficult and worthwhile as masculine activities. Plus, I loved that her feminist proclamations are coming from a girl in Tennessee – whose parents are also from Tennessee – so it shows that feminism is for everyone. BUT, I will flag that if she were anything less than she is, the score would go down a grade because of the domestic abuse and women that make very difficult choices. This book is important because it shows things that aren’t always common in YA: poverty, religious community, and the South. I really appreciated the perspective in this book because it’s rare to read a YA book where college isn’t an assumed next step for the characters. Dill and Travis both plan to finish high school, start working, and stay in their hometown. In fact, they don’t really have much of a plan at all, more like they’ll just keep doing what they already do because they’re not sure there’s much else anyway. Even though Lydia pushes them (from a position of privilege) to aim for something different/higher, it’s still their main consideration. Plus, Dill talks about his activities in the worship band and about going to church and how the folks that left the community had to find a new, similar church and what that means for their Sunday plans. I appreciated that The Serpent King incorporated the day-to-day of living faith into the story – even if it is not necessarily a positive faith. Additionally, Dill suffers from depression and has a “family curse” that he’s fighting to stay on top of. Plus, Travis has to deal with a dad that’s alcoholic and abusive and probably also depressed because Travis’s older brother died fighting in the Middle East. There is a lot of heavy stuff in this book and I ended up crying a TON, but it was so, so good. This book, guys, this book is a heart squeezer. If you don’t cry at least once while you’re reading it, I’m not sure you’re human. Because Dill and Lydia and Travis…they are the trio of friends you wish you had in high school because of their loyalty and love for each other. The writing is amazing, you can feel Tennessee around them, and the hopelessness of Travis and Dill weighs on you. When Travis gets his birthday present, my little booknerd heart bawled because it is just the.best.ever. And then…and then Travis goes home and then something else happens and I was crying again – very different tears. Be prepared, there’s a lot packed in here. Travis – Because he loves books, lives in his fantasy world, and is doing the best he can to be happy and kind in a world that hasn’t given much to work with. 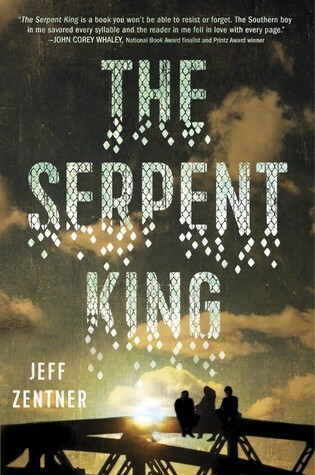 Zentner was a musician first who decided he wanted to give writing a book a try. WHAT a book. Yes. Absolutely. It’s beautiful. It’s sad. It’s full of hope. It’s also very, very heavy, so be prepared for some sadness and shock. I don’t want to spoil it, but there was one thing that happened and I wasn’t ready at all and…this book will hit you like a ton of bricks, but then you’ll want to make everyone else read it too! Out of Darkness by Ashley Hope Pérez for a book that will also tear your heart to pieces and then give you the shreds of hope you need to move on or When We Collided for another story of two people meeting and coming together just when they need it most.